With the Watson Tone Analyzer service on IBM Bluemix you can discover, understand, and revise the language tones in text before you publish, send, or share it. Read on for a sample of how to invoke the service from WordPress via a simple Chrome extension. 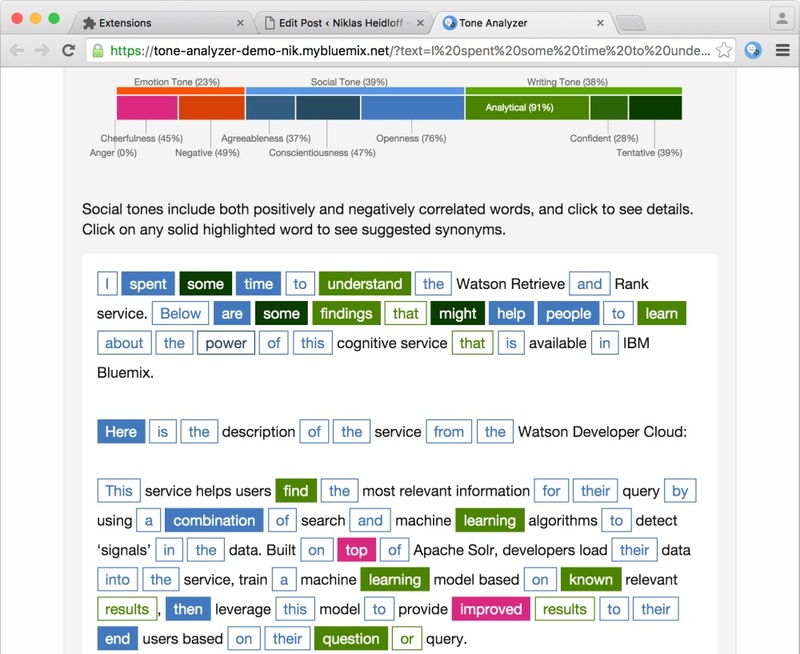 With the Watson Tone Analyzer service on IBM Bluemix you can discover, understand, and revise the language tones in text before you publish, send, or share it. 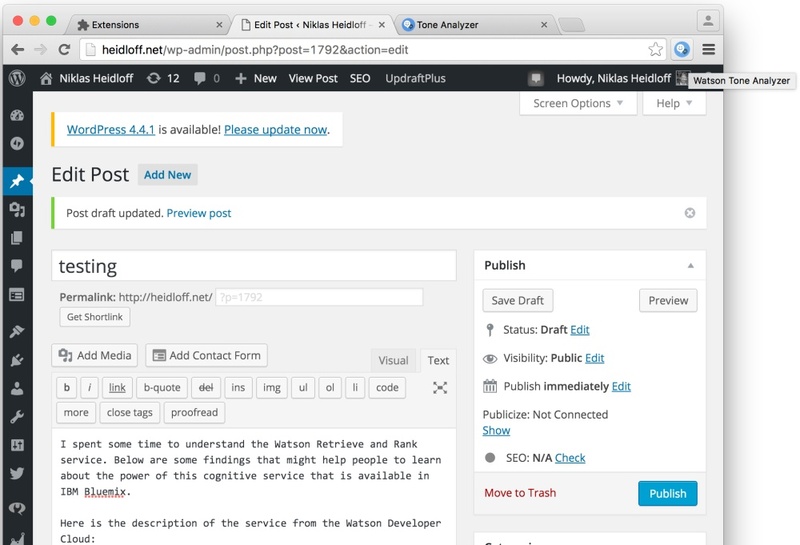 Below is a little sample of how to invoke the service from WordPress via a simple Chrome extension. Next, the extension opens up the tone analyzer sample web application. I use this application since it comes with a nice visualization of the text and the tones. It even shows potentially better synonyms when clicking on specific words. As a shortcut I send the text from WordPress as a URL parameter (there are certainly better ways to do this).